There are many veteran guests who frequent Walt Disney World who know how important it is to have one! There are also a lot of first time guests who don’t show up with one and quickly figure out that it helps! The ‘it’ to have is a PLAN! There are several sources available to help put your plan together, but the first thing you may need to determine is what time of year you want to take your trip. This will set the pace and mood for the rest of your planning. For instance, if you are going during peak time, you will want to give serious thought to what time you need to arrive at the park of the day to get the most time possible for the important attractions you desire to see. You may also want to try to work your meal breaks into your daily itinerary. And, if you have little ones who rely on a scheduled nap time, you can feel free to take a midday break without sacrificing too much in the parks. So, where are these resources found? There are several! Probably one of the most popular is Touring Plans. With Touring Plans you can map out your entire day. They have several pre-made plans you can use that have a proven success rate. Or, you can customize your own. They also offer the Lines App for Android and Iphone that gives you wait times while in one of the Theme Parks and the ability to optimize your plan as you work it to give you up-to-date information on ride and attraction crowds. There are crowd calenders that you can look at well ahead of time to decide which park on what day you wish to attend! You can find all of this and much more at http://www.touringplans.com. The subscription is low cost, and well worth the expense! You can also use http://www.easywdw.com for crowd predictions, park hours (including Extra Magic Hours), and attraction information. Easywdw also offers frequent updates on their blogs in reference to changes in operating hours, park closures, and special events that are coming to Walt Disney World. Finally, allow me to introduce you to Undercover Tourist (UT). UT offers many tools for planning purposes. They have a few apps you can put on your phone. One that keeps the crowd calenders at your fingertips. And another that gives you access to several videos they have done of rides and attractions to feed your Disney obsession on the go! Find them at http://www.undercovertourist.com. There are also several podcasts that are excellent resources for planning information. WDW Today offers insights and planning tips presented by Matt Hochberg, Len Testa (Unofficial Guide to Walt Disney World co-author), Mike Scopa, Mike Newell, and frequently Annette Owens from Mousefan Travel. This if a fun show and they have some listener question shows they do, also. Give them a listen at http://www.wdwtoday.com. Be Our Guest Podcast is another one that does a fabulous job providing planning tips. They also have a few trip reports along the way, which I find helpful when planning my own vacations. You hear about different resorts, park strategies, meals and restaurants, and much, much more. They also have a forum that you can access to ask questions and be a part of the community. Visit http://www.beourguestpodcast.com to find out more. And, of course, I have to mention my favorite again…Resort Loop.com! Resort Loop is a couple of every day guys, Bob Coller and Tim Scott. 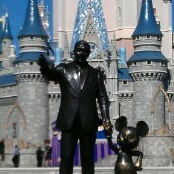 They love Walt Disney World and enjoy sharing all about their adventures. They offer some planning ideas and also have a lot of suggestions for those of us in the middle of planning our next adventure. Look them up at http://www.resortloop.com. There are many, many more…www.wdwradio.com, http://www.insidethemagic.net, http://www.wedwayradio.com, and for runners check out http://www.mickeymilespodcast.com. Thanks for reading and have a Blessed and Magical Super Bowl Sunday! I don’t care who wins! !